Join us for a legislative briefing from Linda Koop, former Texas State Representative of District 102 (Dallas), as she updates us on developments of the 86th Texas Legislature. Advocacy Team meetings are for all Tech Titans members. Please join us if you would like to learn more about a particular topic or about policymaking at the city, state or federal levels. Linda has supported the community through a long list of Civic and Community service endeavors during the last 30 years. She has served on the DART Board of Directors, McKinney Avenue Transit Authority Board of Directors; Dallas Park and Recreation Board; Fellow of the University of Texas Law School - Center for Policy Dispute; Send-A-Kid to Camp; and as a Mentor for the North Dallas Chamber's Young Professionals Program. Additionally, she is a lifetime member of the Texas PTA. As a PTA President her local PTA received State and National Awards for Excellence. 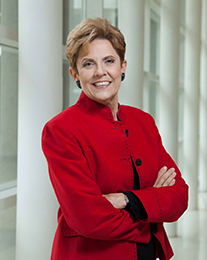 Linda served on the Dallas City Council from 2005-2013. Linda was a Texas State Representative from 2014 through 2018. Linda has a Master's Degree in International Management Studies from the University of Texas at Dallas where she graduated with honors. She received her Bachelor's Degree from Colorado State University, and additionally attended Temple University in Rome, Italy. Linda has been married to her husband Myron for 40 years. They have 2 adult sons that were raised in Richardson and graduated from Berkner High School. Myron and Linda have lived in the district for over 30 years. $10 for lunch. This event is open to all members.